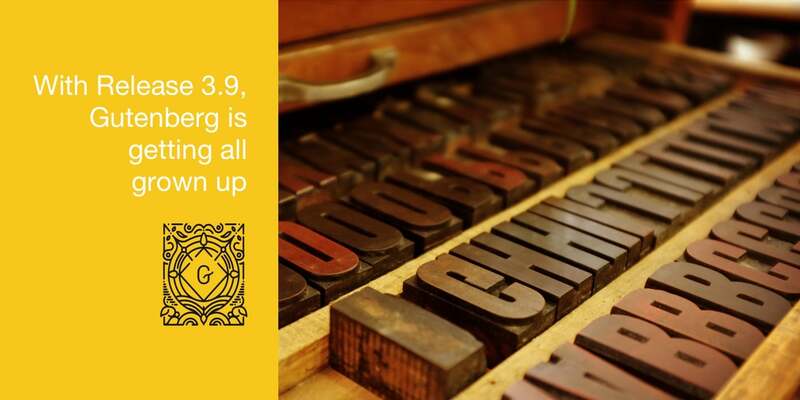 Over at the Make Core blog, Mattias Ventura introduced Gutenberg version 3.9 last week and with it came a few features that make the whole Gutenberg project quite mature. In the new release, Gutenberg introduces reusable templates by selecting multiple blocks in the editor. These templates can be exported and imported using a JSON file transport. This is a great feature because now it’s possible to easily share templates across WordPress sites. There’s also the addition of a much clearer drag handle for drag and drop block operations next to the block arrow controls. It’s also possible to convert an image into a cover image and back, retaining the caption as the main text among many other small improvements and fixes. With Gutenberg becoming more and more stable over the last couple of releases, it’s truly becoming a very versatile tool for editing rich content. I would argue it’s entering the mature stages of its life and clearly is getting ready to be included into WordPress 5.0. You can read a full list of changes and bug fixes that went into 3.9 in the tag releases over on Github. We’re using Gutenberg on WP Realm as our default editor and I must say, I’m loving the rich content options. What is your experience? Have you tried it yet? If so, what’s your favorite Gutenberg feature? Karin is a designer at buro KREAS and blogger here at the WP Realm. She tweets every once in a blue moon.